Do you pay for advertising on Google, Yahoo, Bing etc? Do you find that your daily budget is being used up before its supposed to be? Do you suspect that a competitor is clicking your ad in order to boost their own sales and therefore cutting you out? Well then this software could be a solution for you! ClickCease is a unique click-fraud protection service that monitors your Adwords ads and stops click-fraud activity before it happens, allowing you to get more leads for every dollar spent using Google Adwords. ClickCease is a complementary service to Google Adwords click-fraud filters.What Google does not detect – ClickCease does! Using this software can also add to your peace of mind, knowing that you are getting what you paid for, advertising. You can rest a bit better knowing that your competitor cant continuously click your ad and use up your budget, using under-handed tactics. ClickCease is a click fraud detection, prevention and protection software as a service (Saas). We protect Google Adwords campaigns of Adwords click fraud with special unique detection algorithms. 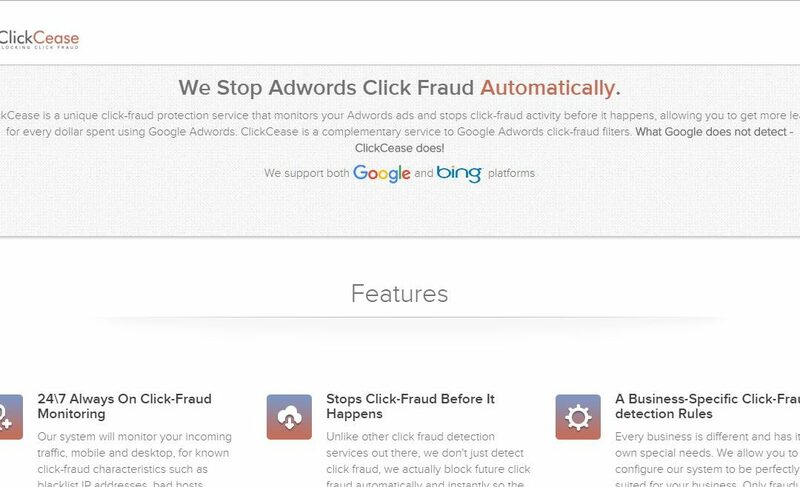 ClickCease offers detection of adwords click fraud and active protection by blocking fraudulent IPs automatically. They offer a basic version for $15 (€13.72) with a free 30 day trial included, there is also a cancel anytime option, so you are not tied into an unwanted contract/ bill for a minimum amount of time. More about Click Fraud – What is Click Fraud? I’m a creative director, web designer & digital media entrepreneur. I am an Adobe Certified Associate in Photoshop, Illustrator, Flash & Dreamweaver. I am also a lecturer in Web Design in BFEI.